Frontloading HQ: Has the Clock Struck in Arizona on the Timing of the Presidential Primary? 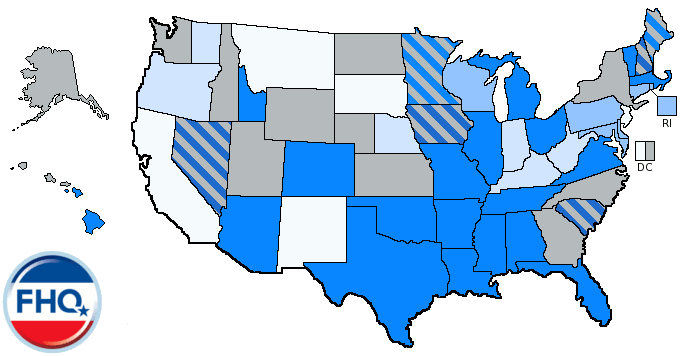 This is Part Four in a series of posts examining early and non-compliant 2012 primary states and why they have not acted to move their presidential primaries to be timed in accordance with national party rules on delegate selection. See Part One (Connecticut), Part Two (Delaware) and Part Three (Utah and Utah Revisited) as well. Now that the Arizona legislature has adjourned without taking action to move the date of the presidential primary, it is probably past time to ask whether the clock has struck midnight in the Grand Canyon state. 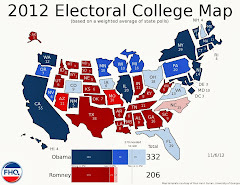 More to the point, is Arizona's presidential preference election locked in on February 28, 2012? That question deserves a more nuanced answer as opposed to a yes or no (though it is a little bit of both). First of all, technically, no state is ever locked into a date mandated by state law because the state party always has the option of holding its own primary or caucus on a date of its choosing. That happens occasionally, but state parties more often than not opt for the convenience of the state-funded option. And when state parties don't is usually a function of the state-funded primary being too late (ie: Think Idaho Democrats or Montana/West Virginia Republicans in 2008.). In the case of Arizona, however, the mechanisms are in reverse. The state party would have to choose a later date than that provided for by the state in this instance. That situation, we haven't witnessed. And neither party in Arizona seems prepared -- not at this point anyway -- to move away from the state-funded option and toward a later, party-funded contest. Arizona Democrats would have more motivation to do so because the national party is unlikely to have a contested nomination race and because the date of the primary as it currently stands is not compliant with the DNC's delegate selection rules. That said, the state party's draft delegate selection plan lists the date of the primary as February 28. Republicans, similarly, have not shown any desire through the legislative process -- a means the party controls -- to alter the date of the primary. A. 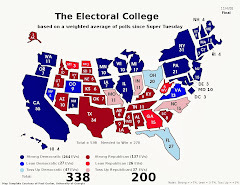 A presidential preference election shall be held on the fourth Tuesday in February of each year in which the president of the United States is elected to give qualified electors the opportunity to express their preference for the presidential candidate of the political party indicated as their preference by the record of their registration. No other election may appear on the same ballot as the presidential preference election. B. Notwithstanding subsection A of this section, the governor may issue a proclamation that the presidential preference election is to be held on a date earlier than the fourth Tuesday in February. The proclamation shall be issued no later than one hundred fifty days before the date of the election as set forth in the proclamation. The governor shall transmit a copy of the election proclamation to the clerk of the county boards of supervisors. Is Arizona locked on February 28? No, but they are locked into a date on or before February 28. The governor has the power to move the primary up, (Remember, there was a resolution at the Arizona GOP's meeting earlier this year to urge Governor Brewer to move the primary up. It ultimately failed.) but not to move it back (see 16-241.B), and that will keep the Grand Canyon state out of compliance with both national parties' sets of delegate selection rules. But is this really of much consequence? Well, yeah, it is. 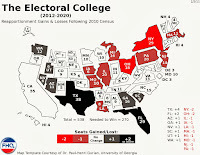 February 28 is one week before the first week that the parties are allowing all non-exempt states to hold primaries and caucuses (March 6) and is the date that the Democrats have reserved for the South Carolina primary.2 More importantly, February 28 is the date most often discussed as a landing point for the disputed Florida primary as well. Arizona may be able to hold a February 28 primary and not affect the timing of Republican contests in Iowa, New Hampshire, Nevada and South Carolina. But if they take up the spot Florida Republicans -- in the legislature -- want all to themselves, it may push them to keep the Sunshine state's primary where it is on January 31. Once that domino falls, it bumps Iowa, New Hampshire, Nevada and South Carolina into January as well. As FHQ has argued throughout the year, it only takes one state to unravel the process, but that since Florida is the earliest non-compliant state, it has deflected attention away from other potentially-defiant states. Florida has gotten the bulk of the negative attention for attempting to defy the national parties' rules, but there are other states with primaries scheduled for dates that conflict with the calculus Florida is operating under. Arizona falls into that category. And now that the state legislature has failed to act to move the date on which the presidential primary is held, Arizona is locked in to February 28 at the latest. ...unless of course the state parties fund later contests. Don't bet on that. 1 For the record, Arizona Democrats in the legislature did nothing -- proposing legislation or otherwise -- to change the date of the primary. As a result, the party will face an uphill battle in arguing for a waiver or for the DNC to spare them the 50% delegation reduction that comes with a violation of the timing rules (see 2012 Democratic Delegate Selection Rules, rule 20.C.7). Arguing that the Republicans held unified control of the state government is not a sufficient argument as Florida proved in 2008. 2 Republican delegate selection rules allow the non-exempt states to hold contests at any point throughout February. The states are not assigned an order or a specific date, though the assumption is that Iowa and New Hampshire would go first.